Extraplanar Lens : works well with snow covered Island and Plains. That turns off bonus mana your opponents get from normal basic lands. If opponents are using snow covered lands then they will get the mana bonus. Rings of Brighthearth : combos with Monolith to make infinite colorless mana. Trinket Mage : to tutor for one of Ring, Vault, Mox. Land Tax : not land ramp, but helps to have a hand full of lands especially Islands if adding Tide. Can search for snow covered lands they are basic lands. Weathered Wayfarer : not land ramp, but can help to make land drops and can tutor for any land. 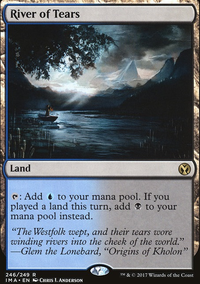 Gift of Estates : not land ramp, but can search for duals: Fountain, Stream, Farmland, Tundra. Scrying Sheets : with snow covered lands. Azor's Gateway Flip: takes some time to flip, but once it does Sanctum of the Sun can create a lot of ramp. hkhssweiss I think I will stick with Sanctum of the Sun hehe! If to win the game I just need to exile 5 cards, it doesn't seem that much after all. Ooh that's a hard one, currently there is no card like Sanctum of the Sun, it's a one of a kind. The looting while yes it does hurt, it's to dig deeper, but I can see why it hurts. The closest cards to it are quite expensive but definitely worth it if you can get one. Serra's Sanctum is the closest one you can get to it since you are running quite a bit of enchantments, but won't go over like 10 mana per game, but that's still quite the parity breaker. Another one is the old land combo, Urborg, Tomb of Yawgmoth and Cabal Coffers but it kind of hurts the deck since you are running 3 colors which isn't optimal. Each of them are quite an investment, Serra's Sanctum last I check was about $100. Both Cabal/Urborg are running around $20-$25. I have March of the Machines and Azor's Gateway Flip (4 different costs under. In response to Azor's Gateway Flip's ability, opponent uses Ovinize on it. In response to the ability, opponent uses Merfolk Trickster on it. What are the characteristics of the Sanctum of the Sun that results? goodair on A non-stax derevi?? Wait till you manage to keep a Sanctum of the Sun alive. Dropping a Mirror Entity or Shalai, Voice of Plenty should be a win with a bunch of utility weenies. Happened to me once and god it felt good as hell! Personally I feel like I would want Kambal, Consul of Allocation as the commander over Obzedat, Ghost Council. 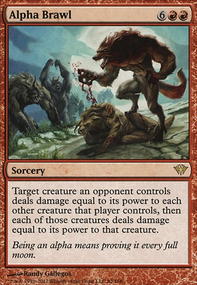 Kambal costs less meaning you can get him out earlier, and his trigger can happen many times in one turn cycle whereas Obzedat can only drain once every turn cycle. Kambal seems to be the better choice to me, but it’s up to you. Also you may want to have Blood Artist in here. It’s another Zulaport Cutthroat type effect except it happens whenever any creature dies, not just your own creatures. Exquisite Blood would be a great card here if you ever are looking to expand the budget. It’s pretty expensive but it’s very good, and it makes an infinite combo with Sanguine Bond to immediately win you the game. Authority of the Consuls could also be a good inclusion since you’ve got Blind Obedience in here already. 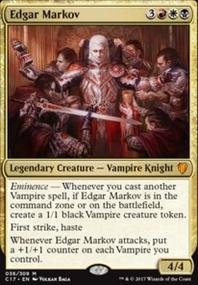 You could also use cards such as Necropotence and Phyrexian Arena to get some extra cards off your high life total; both these cards are incredibly strong, especially in decks with some lifegain to mitigate their (relatively small) downside. 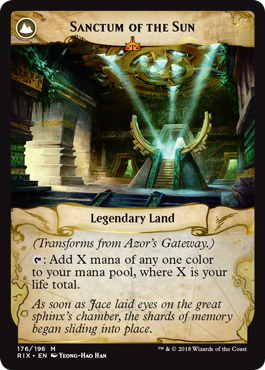 Azor's Gateway Flip (flips to Sanctum of the Sun) could also be a stellar inclusion here. Since you’ll be gaining lots of life you can generate absurd amounts of mana with the Sanctum and then you could use it with Exsanguinate or Debt to the Deathless to finish off the game. Hey, with Hailfire it's helpful to have ways to make a lot of black mana. Being able to pump a large amount of black mana into a Hailfire can win games on the spot. 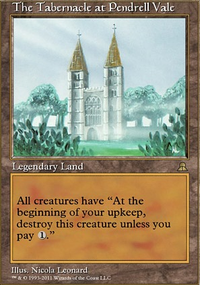 Consider adding Azor's Gateway Flip and Cabal Stronghold? Gateway flips into Sanctum of the Sun which is a land that can make a lot of black mana. Cabal Stronghold is another very good land for mono black with Hailfire. 1) Once an ability is activated, removing the source of the ability doesn't counter it, but you could still cast Seal Away in response to the activation just to get it off of the field. Also, a mana ability like that of Llanowar Elves can't be responded to, but you could cast Seal Away later in the turn to exile it so it can't be used on subsequent turns. 2) A mana ability is an ability that can add mana to a player's mana pool. In order to be a mana ability it cannot target (not stanadard relevant), and cannot be a planeswalker ability (like Chandra, Torch of Defiance 's second ability). It only needs to be able to add mana to a mana pool, not necessarily do so, as such Sanctum of the Sun's ability is a mana ability even if you have 0 or less life. 3) Yes, as long as a spell is blue it can be countered by Jace's Defeat even if it has additional colors. 4) Yes, but as addressed earlier the ability will still resolve, and many abilities do not effect their sources so bouncing it will have little effect most of the time, especially with planeswalker ultimates. 5) This is exactly the sort of situation addressed in 1 and 4, Boros Reckoner would die from the 13 damage well before it's ability resolved, but your opponent would still be dealt the damage.